What is lost when poetry is translated? Robert Frost thought it outright: “Poetry is what is lost in translation.” Those who’ve read my notes here on the Parlando project know that I hold that poetry is words that want to sing. Those sound effects of the flowing sound of words, the call and response of rhyme, the beats of the dancing syllables—all that music can hardly be asked to make it past the visa-check at the translation station on languages’ borders. In recent posts here I translated two poems from classical Chinese. As a non-Chinese speaker, I could not even hope to convey what musical effects the originals had. To better see this as English speakers, let us look the other direction, and think about what Emily Dickinson’s “I’ll Tell You How the Sun Rose” (featured in our last post) would lose if we were to translate it to classical Chinese. Would Dickinson’s poetic music carry over? In English we have the movement of the common meter/ballad meter in her poem, a beat that is ingrained in those who sing common Christian hymns or know secular songs using this meter in the folk and popular music fields. Since this is a common form in our culture, we are primed to move to this meter, and rich associations may arise from other times we have felt the same beat. All that is most likely lost in translation. There’s a pun in the first line. The sun “rose” and is pink. Puns won’t likely make it across the border. Dickinson rhymed her poem. Translators sometimes choose to create rhyming poems in their destination language, but adding this degree of difficulty to the task may cause other defects in translation as the rhyme is sought. English sometimes has an advantage when one translates to and from it, because it is the language of a much-invaded island, which was then taken up by a polyglot country across the ocean. English as we know it today is full of words with Latin and Germanic origin, echoes of French, Spanish, German, and even more. Occasionally, puns or even rhymes can be saved when the foreign language has these connections. And metric rules for accents and syllables can be somewhat portable across the European range. Well, there’s something still there isn’t there, even if we as English speakers see the losses. What remains is Dickinson’s attention to an ordinary event with extraordinary details. And there’s some musical structure remaining: parallelism, theme and variation that doesn’t rely on beats or syllables that can still peak through. Today’s episode is an English translation from the original Bengali by its own author, Rabindranath Tagore. 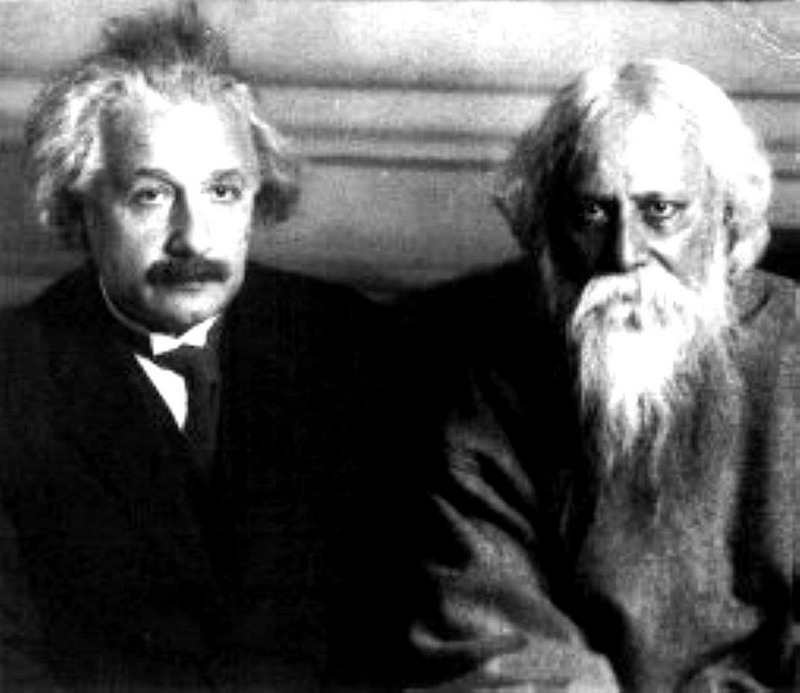 Despite having attended school in England, despite familiarity with English as a resident of a then colonial province of the British Empire, despite some rumored editorial assistance from renowned English language poet William Butler Yeats, and despite Tagore’s well-attested to genius, “Light” was published in English in 1912 as a prose translation. Paradoxically this may be due to the original’s musicality. I’ll have more to say on Tagore next time, but for now just know that Tagore was a composer and songwriter, and that his songs are widely known and appreciated by millions of Bengali speakers. So, to try to restore some of the impact originally present in this piece, I composed and played a rather dense musical accompaniment for Tagore’s translated words. I did this in ignorance of if Tagore had his own melody for this poem in Bengali. Besides animation and illumination of his English prose, I aimed to combine some of my appreciation his native region’s music and Western electric guitar based music. To hear Rabindranath Tagore’s “Light” with my music and performance, use the player below.